Tania baked a cake for Sabina's birthday. Veronica is having fish cakes for dinner. Diana picked up the cake of soap and lathered her hands. The sun had caked the earth. The teenager caked her face in makeup. Cake dates back to the early 13th century. The Middle English cake comes from the Old Norse kaka, and eventually replaced the Old English word for ‘a flat, relatively thin mass of baked dough,’ coecel (kechek), though they are related. Coecel actually existed for a brief period in Middle English, written kechel, but it was used to mean ‘little cake.’ The Old Norse kaka can be traced back to the West Germanic root kokon-, but its origin before then is unknown. For a long time, linguists believed it was related to the Latin coquere (to cook), but now it is considered unlikely. Cake is related to the Middle Dutch koke and the Dutch koek (‘cake,’ ‘gingerbread’ or ‘dumpling’), the Old High German huohho and the German Kuchen (cake or tart), as well as the English word cookie. The sense extended to any flat, rounded mass in the mid-15th century, and at the same time, the sense for the type of cake you eat narrowed to ‘a light, sweet, baked dough in any shape.’ To take the cake, meaning to rank first, dates back to the mid-19th century in American English, while people started calling something easy ‘a piece of cake’ in the 1930s. 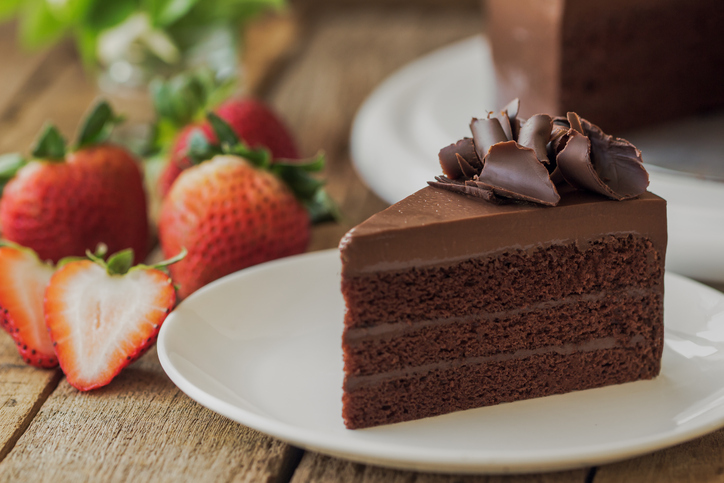 The verb, meaning ‘to form into a cake,’ comes from the verb, and dates back to around the year 1600. The transitive sense, ‘to take the shape of a cake,’ appeared shortly after.